Kelvin Benjamin just brushed off Cam Newton like a defensive back … leaving Cam hanging on a high five and exchanging heated words with the QB — and it’s all on video. Remember … the Bills wideout blasted Cam in the media this week — essentially blaming Newton for all of his struggles in Carolina the past few years. 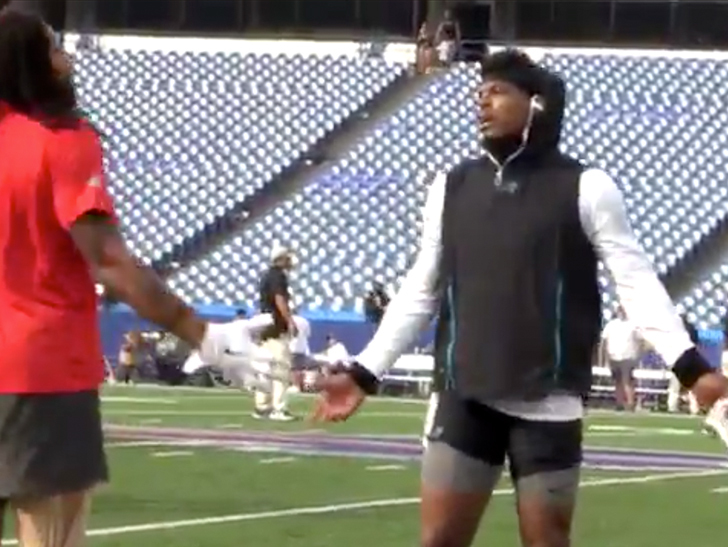 Cam appeared to try to squash the beef in the leadup to Carolina’s preseason game with the Bills … but when Newton walked up to the wideout, things took a turn. Newton tries to shake Kelvin’s hand … but Benjamin turns it down. When Panthers LB Thomas Davis intervenes — Cam brushes him off so the two can have a heart-to-heart. The altercation goes on for a while … before it’s clear the two can’t see eye to eye and Cam bolts for the locker room. ← Anthony Anderson, Steven Seagal, Harvey Weinstein Assault Cases Sent to L.A. County D.A.